La vie Jaime : Our Engagement Photos! 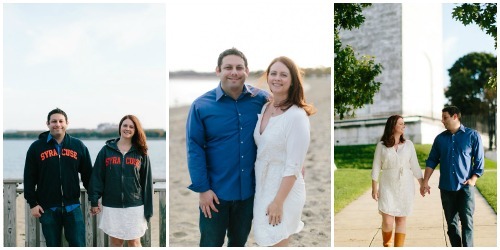 We got our engagement photos taken 3 weeks ago in Southie. 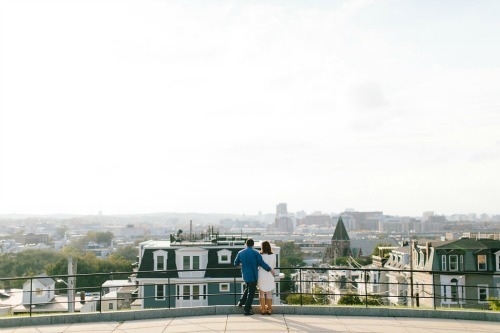 Casey, of Hello Love Photography, met us first at Thomas Park for beautiful views overlooking the city. Then we went down the hill to Carson Beach for some seaside shots. It was a fun experience and I am thrilled with the photos! Here are some of my favorites and more to come in other posts. Thanks, Casey! PS: I am wearing white shirt dress from Anthropologie (no longer available - similar here) and Frye Campus boots. PPS: We got a fun shout out on Instagram from our alma mater! All photos by Hello Love Photography. these are gorgeous Jaime. the light, the setting and the two of you. 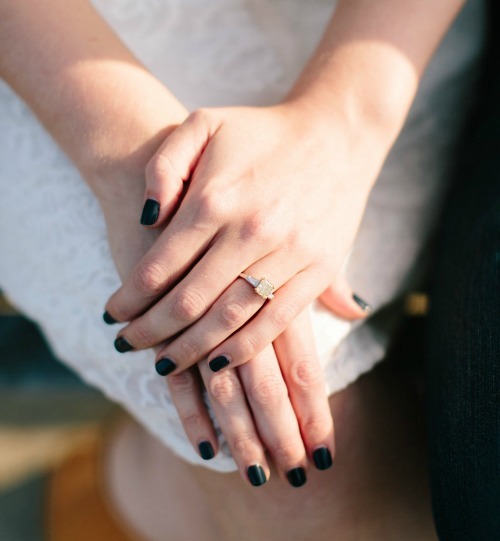 aw, I love engagement photos! Really pretty and so very exciting!!! I got married last year and I swear it goes so stupidly FAST. Enjoy all the love, praise and joy you feel during this time. That is cliche but it's so true. Really pretty photos and so cool your alma mater hollered at you! love the shots! casey was my wedding photographer too! she was amazing to work with! tell her i say hello!! congrats!! Your pictures look beautiful! Best wishes to you. So beautiful!!! These came out great! Where did you take them?